When you imagine God’s face...what do you see? If you visualize anger, you’re wrong. All God’s anger at sin was poured on Christ at the cross. This means if you’re in Christ, you’re free from God’s wrath because of Christ’s death and resurrection. Whether it’s your family, friends, job, or home, everything you have is from God. Look within—are you more enamoured with the gifts God gives you than with God Himself? 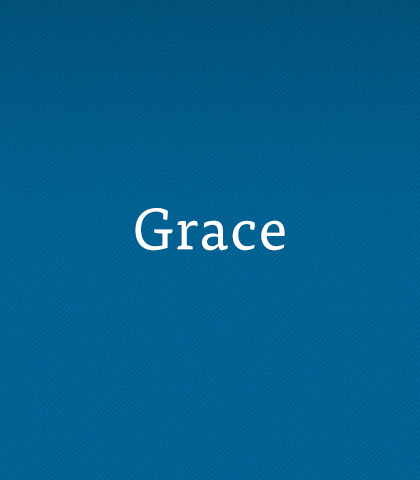 Being under grace beings being free in Christ and no longer a slave to sin. However, this doesn’t mean you’re free to do whatever you please. It means you do what pleases Christ. Just like you can’t unscramble an egg that’s been broken, we all have a dark side we can’t quite shake. We have a root problem with sin, which sounds pretty hopeless until we remember God, in His mercy, doesn’t leave us there. Through His Son He provided a way out of our brokenness and despair. Despite the hymns we sing, many people think they can earn their way into heaven if their good deeds outweigh their bad deeds. Replace your good deeds with the Good News—your salvation was accomplished on the cross. It’s simply a gift. All you have to do is accept it. Depravity is never pretty. More often than not it’s ugly and dark, marked by scandal. We’ve all experienced depravity. But the Good News is we can come to Christ just as we are. Our depravity does not disqualify us from salvation.